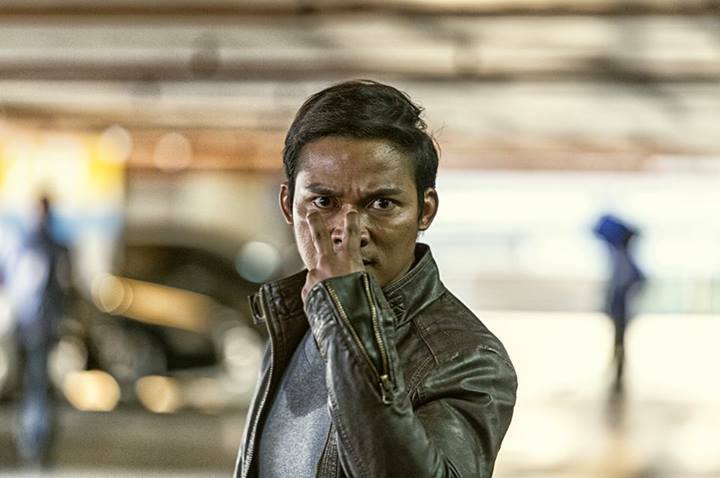 MAAC EXCLUSIVE INTERVIEW: TONY JAA – Star Of FURIOUS 7, SKIN TRADE, & SPL 2 | M.A.A.C. Starting out as a stuntman under action choreographer/director PANNA RITTIKRAI, TONY JAA rise to fame in his breakout role in 2003’s ONG BAK: MUAY THAI WARRIOR. I remember watching this film for the first time and my jaw literally dropped to the ground. Combining the acrobatic stunts of ‘Jackie Chan’ with the power of ‘Bruce Lee’ and mixing it with the hard-hitting Muay Thai style of flying elbows and knees, the trio of Jaa, the late Rittikrai, and director PRACHYA PINKAEW brought to the screen something action fans have NEVER seen before. 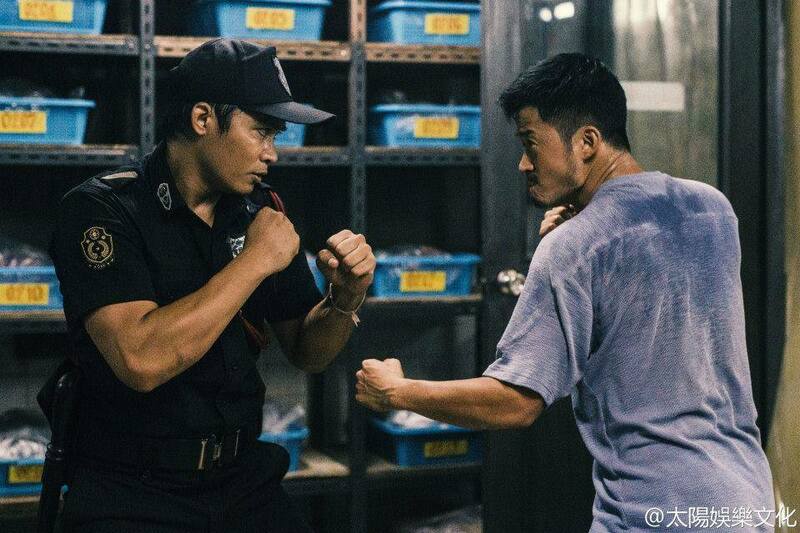 After the success of ‘Ong Bak’, the dream team’s follow-up was the equally action-packed 2005’s TOM YUM GOONG aka THE PROTECTOR. ‘Ong Bak’ spawned two sequels and ‘Tom Yum Goong 2’ came out late last year. After the success in his native Thailand, Jaa will finally go international next year with projects in Hollywood and Hong Kong including the highly anticipated action blockbuster FURIOUS 7! MAAC: Hi Tony, being such a long time fan and a fan of martial arts cinema in general, having the opportunity to interview you is a huge honor! Thank you so much for taking the time out of your busy schedule to answer a few questions from your fans around the world. First off, how are you doing? From the last time we contacted each other, you said you were on your way to Africa. Hope you are having a safe trip! 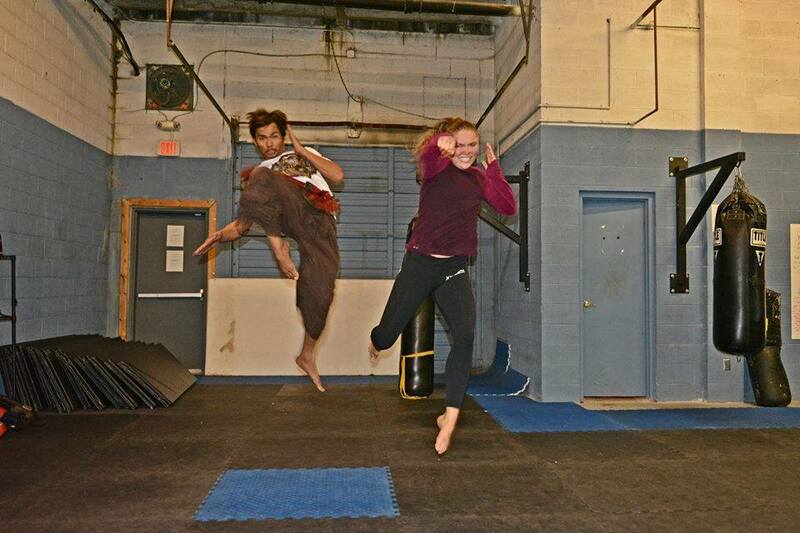 TONY JAA: I had a great time in Africa. I traveled with friends that included Ron Perlman and Michael Jai White. We went to Kenya, Rwanda, and Djibouti the reception was incredible. On the way to Africa we spent several days in Istanbul, Turkey which was like walking through history everywhere we turned. On the way out of Africa we went to Petra, Jordan which is really a place beyond words. MAAC: We’ve all heard news of you signing onto the KICKBOXER reboot with fan favorite SCOTT ADKINS, and everyone was absolutely ecstatic about seeing you two on-screen together. Unfortunately, as you probably know, Adkins have dropped out of the project. Is there any chance of you and Adkins potentially working together in the future? 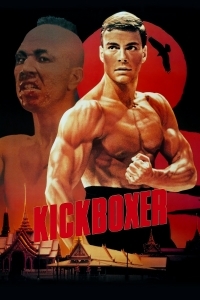 MAAC: Were you a fan of the original ‘Kickboxer’ starring Jean Claude Van Damme? Can you tell us a bit about your role as the ‘mentor’ and how they made it different from the original? In the original, the ‘mentor’ character did not get much action scenes. We’re hoping that’s not the case this time around. 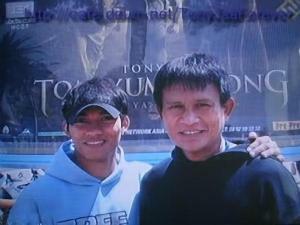 TONY JAA: The mentor role is very different in this version, it is expanded considerably both dramatically and action wise. This is not a clone of the original, I was very impressed with the script and the shoot plan. I think anyone who enjoyed the original Kickboxer is going to love this film, I also think the film contains a story line and dramatic beat that will appeal to a much broader audience. MAAC: That’s GREAT to hear! Fans will definitely be happy about that! Since branching out to Hollywood for ‘Furious 7’ (see the trailer HERE) and ‘Kickboxer’, what would you say is the major difference between the filming process on these two films compared to movies you’ve made in your native Thailand? Did working on ‘Skin Trade’, which I believe is a Hollywood/Thailand co-production, make the transition a little easier for you? 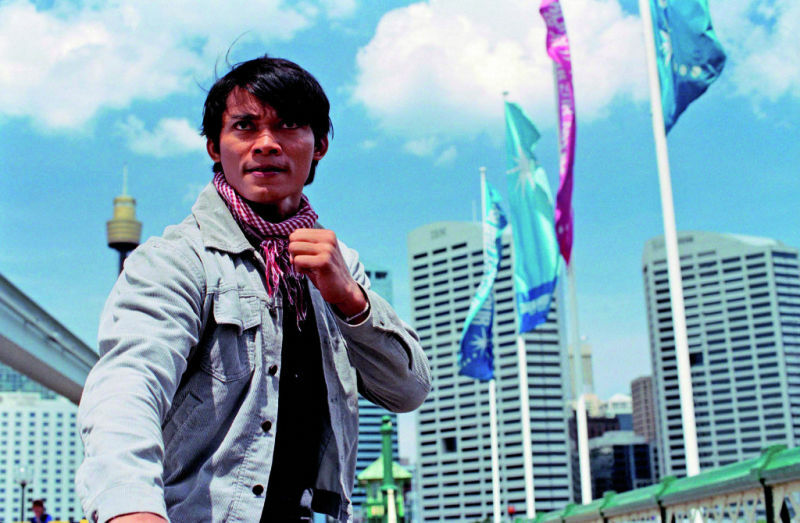 TONY JAA: I enjoy the professionalism and production resources that go in to Hollywood films. Obviously I enjoy acting, especially in action films. The switch to Hollywood provides a better platform to work from. MAAC: Did you have any scenes with UFC Champion RONDA ROUSEY or action star JASON STATHAM in ‘Furious 7’? How was it like working with these two incredible athletes considering Rousey is a world class MMA fighter/Olympian in Judo and Statham was a former pro diver? TONY JAA: I became very friendly with Jason during ‘Furious 7’, and the friendship has continued with Jason shooting a film here in Thailand at the moment. Jason is a real professional and great to work with. I spent some time with Ronda, and we trained together a bit. She is really something, a very good actress, a very disciplined fighter and a very nice person. 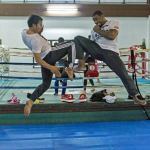 MAAC: Knowing that you practice a mixture of Muay Thai, Muay Boran, Wushu, Judo and Taekwondo, do you ever think about trying some mixed martial arts training, which is at the height of its popularity right now? 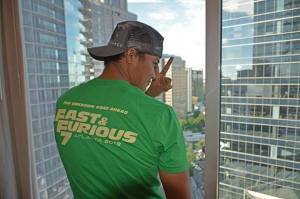 Did Rousey show you any MMA moves on the set of ‘Furious 7’? 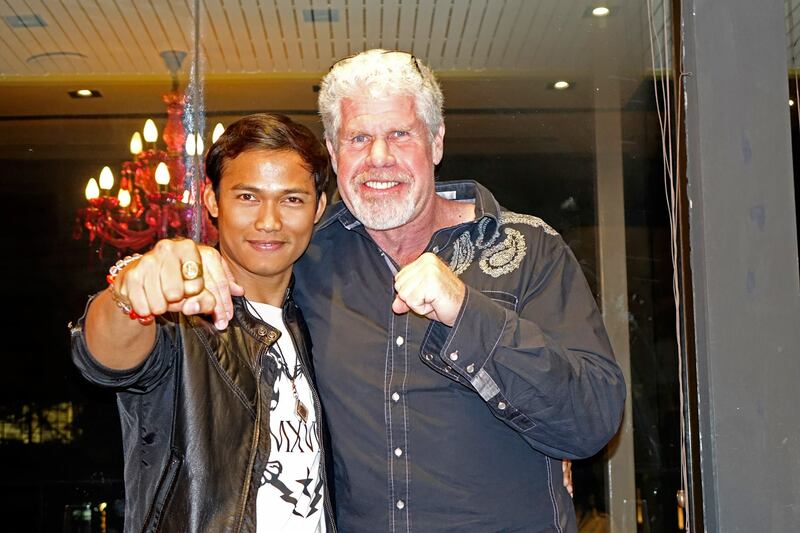 TONY JAA: I am very familiar with MMA. My style is a mix of many things. However, straight MMA fighting is not an area I will move in to. You are either an actor or a fighter, the training is different. You can’t do both. MMA as in the UFC is very cool but very different from the reality of movie making. Movies are very choreographed and MMA is very free style. In reality a movie must be choreographed. MAAC: The trailer to your most recent film SKIN TRADE debut a few days ago and it looks absolutely amazing! The cast of this film is unbelievable. 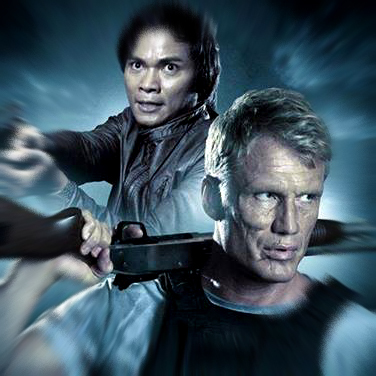 In addition to action stars Michael Jai White and Dolph Lundgren, veteran actors Ron Perlman and Peter Weller rounded out the incredible cast. How did working with these guys help your growth as an actor? TONY JAA: I learned a lot from Ron Perlman, he coached some of my dramatic work, and I became very comfortable with what I was doing. MAAC: It has been over 10 years since you’ve starred in your breakthrough role in ONG BAK. Comparing the ‘Tony Jaa’ of today and the ‘Tony Jaa’ of 10 years ago, what have changed the most? TONY JAA: I don’t think I have really changed. I have been fortunate to get to see more of the world than previously, but the way I see the world has not changed, and I still both enjoy what I do and feel fortunate to be able to do it. 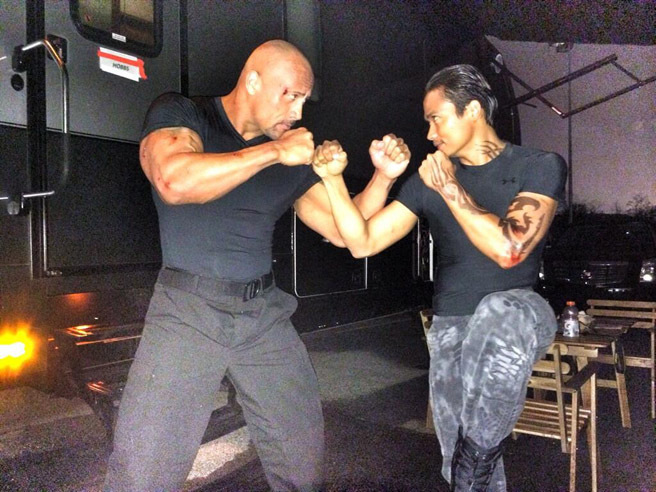 MAAC: Speaking of ‘Ong Bak’, you and action choreographer Panna Rittikrai was a match made in heaven. You two brought to the screen something we have NEVER seen before combining the acrobatic style of ‘Jackie Chan’, the power of ‘Bruce Lee’, and the grace of ‘Jet Li’ into the ‘Jaaski-style’ that we all know and love. What is your fondest memory of your mentor, the late master Rittikrai? 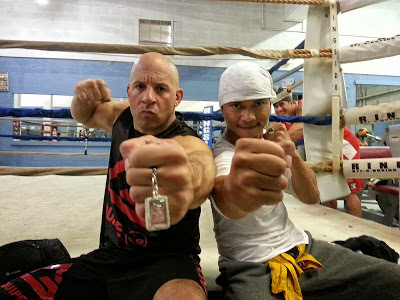 TONY JAA: There is no single memory, there are so many. What I will always remember and treasure is the trust we shared, and the kindness I received from Panna. MAAC: Having worked with a Hong Kong crew on ‘SPL 2’, can you tell us a bit about the action choreography? I can just imagine how awesome it is to blend a bit of that Hong Kong flavor into your signature Muay Thai style. And of course everyone is super excited to see you on-screen with martial arts star WU JING (who specializes in Wushu)! Maybe we will see a bit of your Wushu skills in the film? TONY JAA: I enjoyed SPL II, my style is mixed in the film, but still more Muay Boran than not. Working with Wu Jing was great, he has fantastic skills, we got along great and had a lot of fun. MAAC: After working with such huge stars as Dwayne Johnson, Jason Statham, Vin Diesel, Wu Jing, Michael Jai White, and Dolph Lundgren, which other action stars would you want to have the opportunity to work with in the future? TONY JAA: I have been very fortunate to have worked with some great stars in the short time since I started doing international films. I don’t know quite what will come next, there are a number of opportunities under discussion. Whatever it is, whoever it is with I know I will enjoy it. MAAC: The two stars that fans are dying to see you collaborate with are IKO UWAIS and of course DONNIE YEN (who starred in the original SPL). There’s been rumors going around about you possibly joining Uwais for The Raid 3, is there any truth to that? And I know its wishful thinking, but perhaps you can speak to producer Wilson Yip to team you up with Donnie Yen for SPL 3 to close out the trilogy! Now THAT, would be a dream come true for all Martial Arts movie fans! TONY JAA: I haven’t had any discussions on RAID 3. The reality of movie making is that it is the producers who drive a movie and cast actors. This means it really depends on what projects are out there, and who they choose to approach. MAAC: Out of all of your movies, which one is your favorite and you are most proud of? TONY JAA: I hope the best is yet to come. 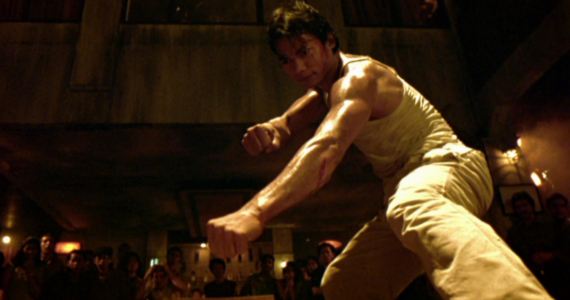 MAAC: What’s your favorite martial arts film of ALL TIME? TONY JAA: I really loved ENTER THE DRAGON. MAAC: With 4 movies coming out in 2015, next year will definitely be a HUGE breakout year for you! Can you tell us about any upcoming projects you have plans for after KICKBOXER? You probably deserve a long vacation by now, but us fans just can’t get enough of the ‘Jaaski’! 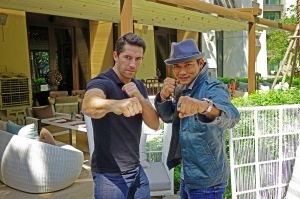 TONY JAA: I am well rested and ready to roll for next year. There are several films planned, but that is something I need to talk about in a month or two, as it is appropriate to let the producers announce first. MAAC: On behalf of our MAAC readers, I would like to thank you so much again for making the time for this interview. We cannot wait to see your star shine even brighter next year! Are there any last words you like to say to our readers? TONY JAA: Thanks for taking the time and interest to follow me, I truly appreciate it and am humbled that people are interested in me. There you have it guys! For more details on Jaa’s upcoming 2015 projects, please read our previous article ‘2015: The Year Of Tony Jaa’ and visit TONY JAA’S OFFICIAL FACEBOOK PAGE to get up-to-date news from the man himself. 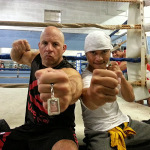 Get ready to SEE Jaa on the big-screen doing what he does best! I love tony ja films.because he is hard and good fighter. Tony is so humble. One of the greatest MA action star. Thank you so much David for the interview. Superb inmtfraoion here, ol’e chap; keep burning the midnight oil.